Plot Victor Meldrew, a man who, put simply, is annoyed by every one of life's 'challenges'!, has never been renowned for his patience and tolerance. When he's forced to take early retirement, he suddenly has plenty of time on his hands to rage against the petty annoyances of life and the people in it. His long-suffered wife Margaret just has to grin and bear it as her husband constantly moans and battles his way through his retirement years. 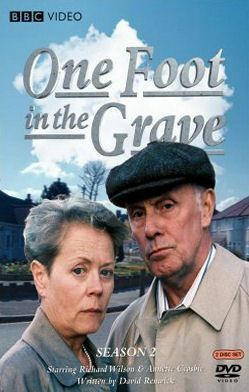 Other regular characters are his neighbours, Patrick Trench and his wife Pippa, 'Family' friend Mrs Warboys and Nick Swainey, another neighbour.